CyrusOne designs its facilities to comply with rigorous standards set by trade groups and certifying organizations, while maintaining relevant certifications and attestations. The CyrusOne Compliance Management team is dedicated to continually improving and maintaining compliance certifications that are critical to our data center customers.Through disciplined assessment and audit processes, CyrusOne has implemented comprehensive practices for ISO 27001: 2013 Certificate Public, PCI Attestation of Compliance, HIPPA/HITECH Report, FISMA HIGH Report, SOC 1 (SSAE) Report, SOC 2 (SSAE) Report, HITRUST CSF, FFIEC Report, CSA STAR Report, Business Continuity and Disaster Recovery (BCDR), and TRUSTe. ISO 27001 defines specific controls that should be in place for an organization to be certified as in conformance with ISO 27001. CyrusOne maintains ISO 27001 certification for operations of data centers in the United States. ISO 27001 is an International standard providing a model for establishing, operating, monitoring, and improving an Information Security Management System (ISMS.) The ISO 27001 Certification allows CyrusOne to demonstrate our commitment to information security processes. The scope of data center colocation services covered includes physical controls, environmental safeguards, and telecommunication connectivity as well as support provided by CyrusOne’s client service, legal/compliance, facility management and information technology departments. CyrusOne has been awarded the TRUSTe Certified Privacy Seal after completing a Privacy Assessment and implementing the required changes. CyrusOne can proudly display the seal on all certified website, apps, and cloud/advertising platforms. TRUSTe is the #1 privacy brand and the Certified Privacy Seal is recognized globally by consumers, businesses, and regulators as demonstrating privacy best practices. CyrusOne’s TRUSTe Policy can be found here. CyrusOne Data Centers have met and conformed to OIX standards, using systems and processes that have proved successful in our carrier neutral facilities since our founding in 2000. On January 21, 2014 it was announced that CyrusOne had become the first data center company to receive multiple data center OIX certifications. Certification will act as the bedrock for a new and resilient interconnection marketplace in CyrusOne data centers allowing content and ISP’s to have diverse locations for peering and transactional interconnection. This OIX accreditation enables a mutual model for interconnection that is the best for the future of the Internet. The OIX platform echoes the aims of the North American community as represented by the Open-IX initiative. The Payment Card Industry Data Security Standard (PCI DSS) was created to meet the rising threat to individuals’ payment card information. Compliance with PCI DSS is mandatory for all organizations dealing with credit, debit and ATM cards, as defined by the PCI Security Standards Council, which includes industry giants like Visa, Master Card and American Express. CyrusOne provides physical security access to customer equipment through a combination of management systems and physical access safeguards and procedures. CyrusOne does not monitor or have access to customer data, so applicability is only to physical security and management processes that govern physical security. The Health Insurance Portability and Accountability Act (HIPAA) regulation impacts those in healthcare that exchange patient information electronically. HIPAA regulations were established to protect the integrity and security of health information, including protecting against unauthorized use or disclosure of the information. HIPAA sets the standard for protecting sensitive patient data. Data centers must have certain administrative, physical and technical safeguards in place, according to the U.S. Department of Health and Human Services. Compliance is a shared responsibility. Your company must address, implement and manage all other technical and administrative controls outside of physical safeguards. CyrusOne completed an independent security assessment of the information security controls outlined in the National Institute of Standards and Technology (NIST) Special Publication 800-53 revision 3 (SP 800-53.) NIST 800-53 outlines the controls that are required to comply with theFederal Information Security Management Act, or FISMA. All government agencies, government contractors, and organizations that deal and exchange data with government systems must follow FISMA compliance guidelines. Organizations have to monitor, retain and maintain audit records of all security events as per FISMA (Federal Information Security Management Act). The objective of FISMA compliance is to ensure that Federal departments and agencies observe measures to mitigate the security risks to critical data. For federal agencies to use the services of a provider, the services must be based in a FISMA compliant data center that meets the stringent security requirements mandated by the Federal Information Security Management Act (FISMA). The National Institute of Standards and Technology (NIST) creates and maintains the specific security standards that agencies and their vendors are required to follow to remain compliant. Agency compliance is ensured by the Office of Management and Budget (OMB), which each year reviews federal agencies’ IT programs to verify that they are FISMA compliant whether hosted on- or off-premise. The scope of the assessment included CyrusOne’s documented policies and procedures as well as controls implemented for its data centers. The controls that made up the assessment were awareness and training, incident response, maintenance, physical and environmental, personal security, and risk assessment. 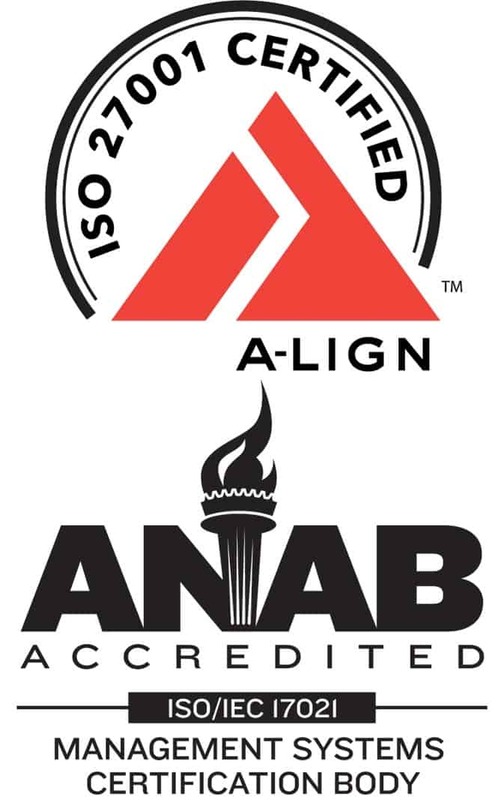 Statement on Standards for Attestation Engagements (SSAE) are attestation standards put forth by the Auditing Standards Board (ASB) of the American Institute of Certified Public Accountants (AICPA). This report is intended to be relied upon by the financial statement auditors of CyrusOne customers. The SSAE assesses the physical security, environmental safeguards and network monitoring controls implemented by CyrusOne. 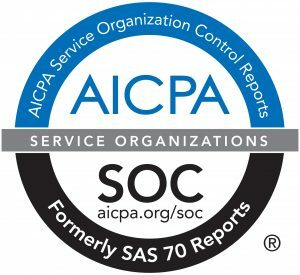 Assessing these controls through the SSAE demonstrates CyrusOne’s commitment to the protection of all IT assets. The Health Information Trust Alliance (HITRUST) Common Security Framework (CSF) is a comprehensive and certifiable security framework used by healthcare organizations and their business associates to efficiently approach regulatory compliance and risk management. HITRUST unifies recognized standards and regulator requirements from NIST, HIPAA/HITECH, ISO 27001, PCI DSS, FTC, COBIT, and can be completed according to SOC 2 criteria, making it the most widely-adopted security framework in the U.S. healthcare industry. Federal Financial Institutions Examination Council (FFIEC) is a formal U.S. government interagency body that includes five banking regulators—the Federal Reserve Board of Governors (FRB), the Federal Deposit Insurance Corporation (FDIC), the National Credit Union Administration (NCUA), the Office of the Comptroller of the Currency (OCC), and the Consumer Financial Protection Bureau (CFPB). It is “empowered to prescribe uniform principles, standards, and report forms to promote uniformity in the supervision of financial institutions”. FFIEC Compliance is conformance to a set of standards for online banking which was issued in October 2005. In order to determine whether or not an institution is in compliance with FFIEC guidelines, comprehensive assessments of the internal environment must be conducted to identify potential security weaknesses and threats. Then goals must be set, solutions implemented and periodic risk assessments performed in order to maintain an adequate level of security. CSA Security, Trust and Assurance Registry (CSA STAR) is the industry’s most powerful program for security assurance in the cloud. STAR encompasses key principles of transparency, rigorous auditing, harmonization of standards, with continuous monitoring also available in late 2015. STAR certification provides multiple benefits, including indications of best practices and validation of security posture of cloud offerings. If you are a customer in need of FEDRAMP certification, CyrusOne can assist you with the process. The CyrusOne Compliance Management team is dedicated to continually improving and maintaining compliance certifications that are critical to our data center customers. Through disciplined assessment and audit processes, CyrusOne has implemented comprehensive practices for ISO/IEC 27001, PCI DSS, HIPAA/HITECH, FISMA-High, SSAE 18 (SOC 1 Type II), Type 2 AT 101/SOC 2, HITRUST, FFIEC, CSA STAR, Business Continuity and Disaster Recovery (BCDR), and TRUSTe. Although CyrusOne is not FedRamp certified, through implementation of these processes, CyrusOne customers have been successful in obtaining their FEDRAMP certification. Please follow the link to learn how you can become FEDRAMP certified.